Wave goodbye to the cares of the world when you stay at Four Waves. This traditional Hatteras-style home with reverse floor plan is dog friendly and just two lots back from the beach. 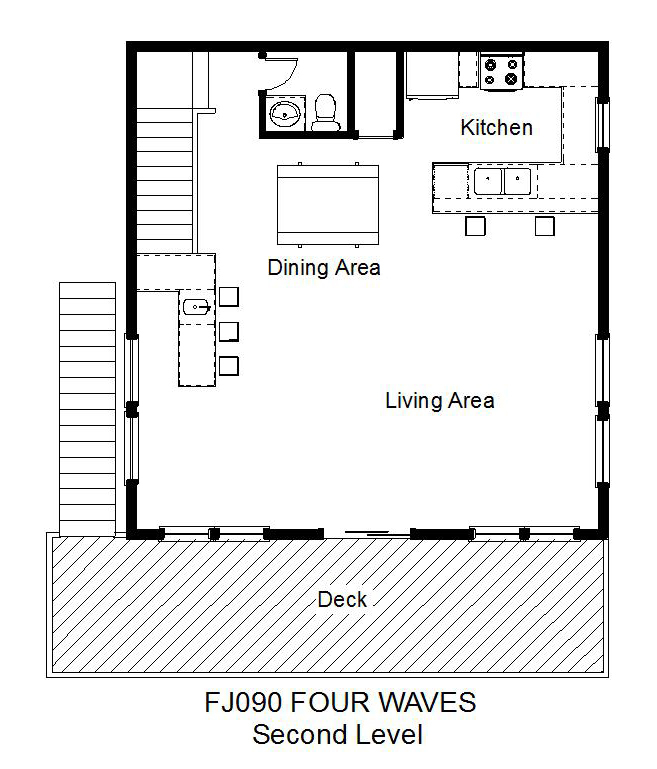 Enter on the first level, where all four bedrooms with TVs provide a comfortable retreat after a day of vacation fun. Two queen bedrooms, one a master, each have direct access to the wide, shaded deck, the perfect way to start your day. 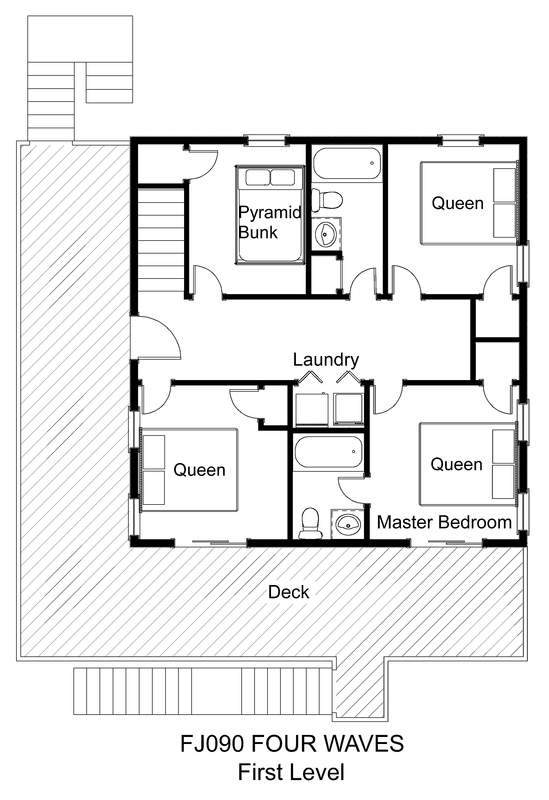 A bedroom with a queen and a pyramid bunk bedroom with trundle share a full bathroom off the hall with one of the queen bedrooms. Upstairs is the open living, dining, and kitchen area with cathedral ceilings and ocean views. Sip a cool drink at the wet bar, or step out onto the oceanview sundeck to catch some rays and listen to the surf. A half bathroom is also on this level. Your whole family will enjoy the quick walk to the beach at the end of the street. Cast a line in the surf, build sandcastles, or just explore the shore, and still make it back home in time for lunch. From art galleries to restaurants, there is plenty to do in the neighborhood as well. Relaxation is right at your fingertips when you stay at Four Waves.